This house was completely gutted on the inside and demolished on the outside. Truckloads of brush were taken out and unhealthy trees were removed. The front entry stairway could not be repaired or salvaged in any way and had to be taken out along with a nonfunctional deck in the back yard. 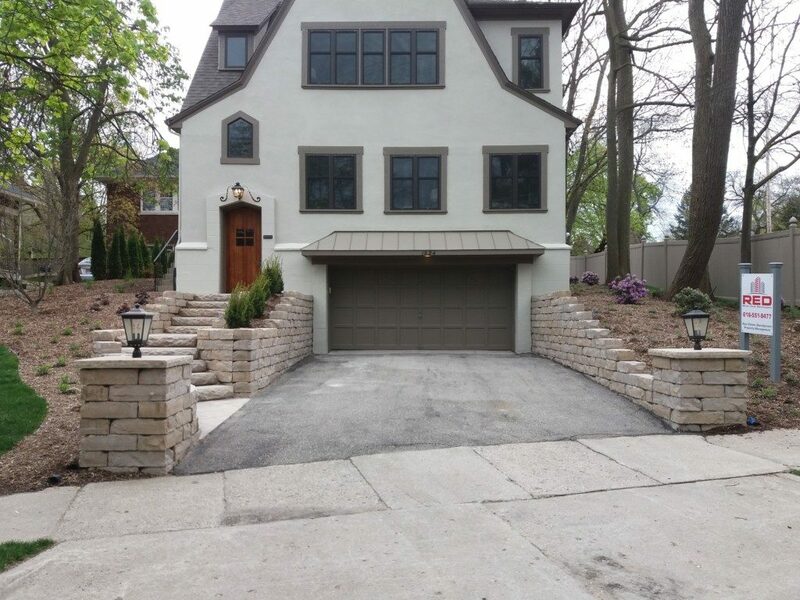 The front entry was redesigned and rebuilt using Rosetta Kodah Wall and Dimensional Steps. 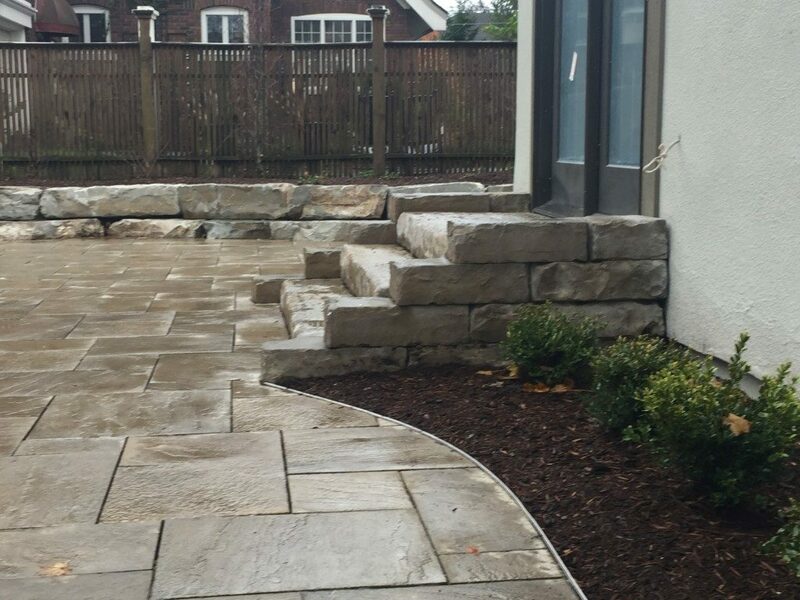 A large patio was installed in the back. We used Dimensional Steps and Kodah Wall again in the back in a creative way to create steps down from the back slider. 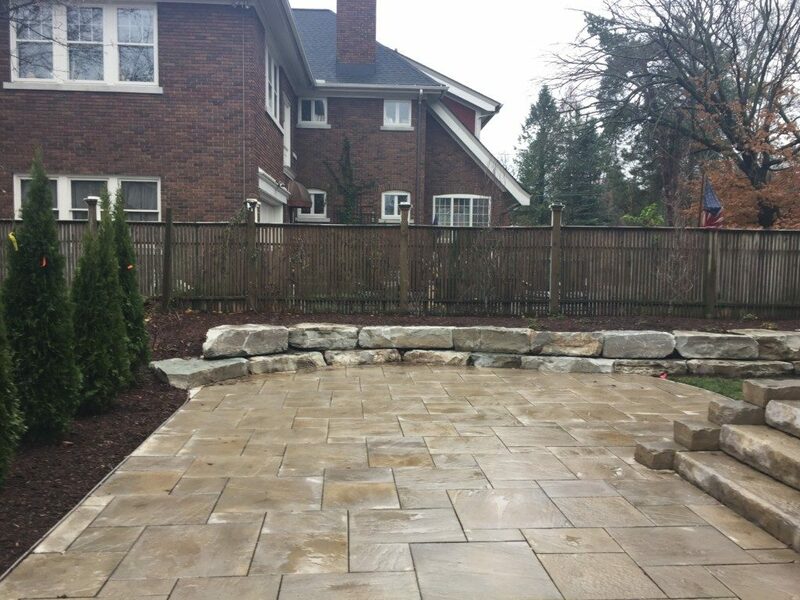 A limestone retaining wall was built in the back and includes perennial plantings and trees for screening. It doubles as seating around the patio as well. 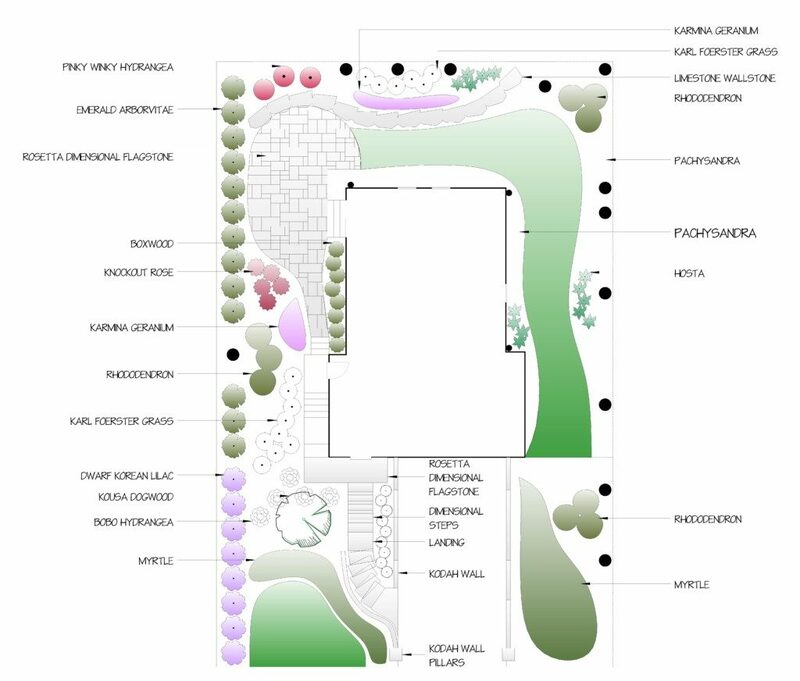 In the end, we created a highly functional space for the new homeowners containing lawn and planting areas, space for entertaining, and a front yard with exceptional curb appeal.